I am happy to announce the winner of my Spooktacular Costume Contest…Not So Sweet Pierre! The winner will be contacted to set up a free 30 minute phone reading with me. Looking forward to speaking with you! Thank you to all who entered this year – deciding a winner was harder than ever. I hope all are having a Happy and safe Halloween! It’s that time again! 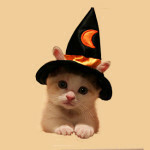 I had so much fun viewing the photos of your pets dressed up in spooky attire last year that I just had to do it again! 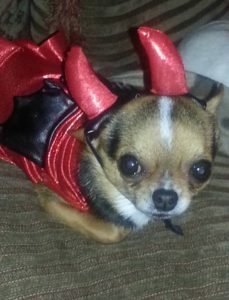 Dress your pet in a costume that’s creative and scary and enter my 2nd Annual Spooktacular Pet Costume Contest. The best photo will win a free 15-minute reading with me (valued at $52.00). 2. Complete the form below and be sure to upload your photo. No Photoshopped photos, please! 3. Please submit all photos by Tuesday, October 28. Valentine’s Day is here! 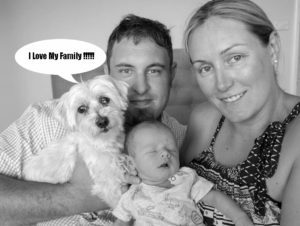 Though we should love our pets and the people important to us every day of the year, this time of year is one that I usually get the most questions about love and how to best show it to those who mean the most to us. Below are the most common questions I get on the topic. 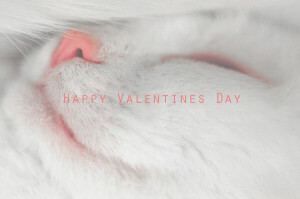 Q: What are you favorite things to give your pets on Valentine’s Day? A: I give them special treats, and a lot of hugs and kisses. 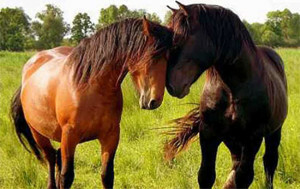 Q: Valentine’s Day could be an emotional time for someone who may have recently lost a pet. What do you recommend to help get them through? A:It is always hard when we have a pet pass away. Just remember all the good times we had with our pet. Most of the time our pets are with us spiritually. Q: For someone who is bringing a new pet into their home this Valentine’s Day, do you have any suggestions to make sure the pet is happy in their new home? A: My first suggestion would be to do a reading with me before you adopt a pet. I recommend doing a few visits with the new pet before you bring it home. If you have other pets, you need to have an introduction period before fully welcoming the pet into your home. What’s the best way to understand how my pet is feeling? Do your best to tune into your pet. We all have the ability to understand our pet on a deeper level. I love my pet. How do I know if my pet loves me? Our pets give us unconditional love all of the time. Treat them well. You are also a psychic for people. What about those who are looking for love, but have yet to find it? Yes, I also do readings for people. Learn to love yourself first. Make sure you are whole- don’t look for the other person to make you complete. Lastly schedule a reading with me and see what is in store for you. I would be happy to help. That’s it! I hope you all have a happy Valentine’s Day! I am here to help you if you have any questions about your pet or your love life. I look forward to hearing from you! The Cyber Monday Sale is over. Thank you everyone for your interest!! 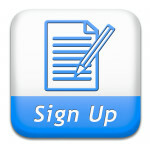 Check Back soon for my next promotion. Last year, Americans spent nearly $56 billion on their pets — an all-time high — and are expected to spend $60 billion this year . Plenty of that went to veterinary care, which includes prescription medication, as well as over-the-counter meds. In aggregate, Americans spend more than $14 billion a year at the vet and more than $13 billion on supplies and over-the-counter medication. This means that some pet owners must shell out hundreds, even thousands, for medications for their pets each year. But that convenience and cost savings can come with a serious downside: the risk of scams. SiteJabber , a website where customers can review online businesses, has seen a 60% year-over-year increase in the number of consumer complaints over businesses selling pet medications online. “It’s one of the fastest-growing areas of complaints on the site,” says Jeremy Gin, the founder of SiteJabber. SiteJabber analyzed more than 1,000 consumer complaints about online pet medication companies to determine the most-complained about issues. Here are three. More than 15% of the customer complaints about online pet medication businesses involved auto-shipments, according to the SiteJabber analysis. Here’s what often happens: A pet owner sets up an auto-shipment of certain medications because her pet has a recurring condition that needs regular medication. But when she tries to cancel the auto-shipments, she finds it nearly impossible to do so — and keeps getting charged for medications she no longer needs. What consumers can do: Gin recommends that right after consumers call the pet med company to cancel auto-payment of their medications, they also call their credit card company to let them know that they should not authorize any more automatic payments from that company. One in five pet owners who bought pet medication online complained about pet medication shipments that took far longer than promised or never even came, the SiteJabber data revealed. This may be a particularly acute problem if you order from a company based abroad, as customs may be an issue, he says. 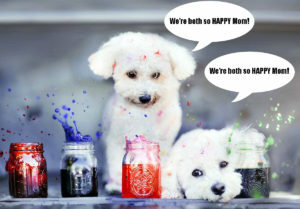 Not only is this annoying, but it can be harmful to your pet’s health if they aren’t getting the medication they need. What consumers can do: Have a backup pharmacy in town that you know will have the medication (call to make sure they have it in stock) — even if it will cost more, says Gin. That’s because even if you call the company to confirm the delivery date of your medication — or even if they have a guaranteed delivery date — the company may still not get it to you on time. To try to get your money back if they don’t deliver when promised, request it both in writing and verbally; that may not work though, in which case, you may have to go through your credit card company, says Gin. “Many online pharmacies are not safe,” says Amber Anderson, a veterinarian based in Rancho Palos Verdes, Calif.; and indeed, of the 420 online pet pharmacies reviewed on SiteJabber, more than one in three were identified as non-legitimate pharmacies, meaning that they likely violated laws or regulations around the sale of drugs. 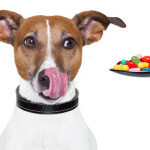 These pharmacies may give you medication that isn’t what you asked for (and thus does not help your pet), sugar pills or other fake pills, diluted versions of the medication, medication with additives that may be bad for your pet, and more. What consumers can do: Consumers need to verify that the pharmacy they are using is legitimate, and because there are so many that aren’t, this isn’t an easy process. 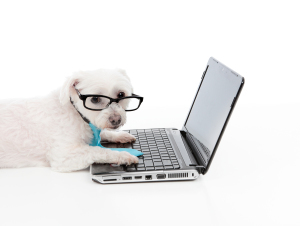 The FDA recommends that you only order from a website that is designated Vet-VIPPS, which stands for the Veterinary-Verified Internet Pharmacy Practice Sites; this is given by the National Association of Boards of Pharmacy to online pet med pharmacies who comply with NABP’s criteria, including licensing and inspection requirements, quality and validity of prescription orders. Gin says that you should make sure the site is verified by LegitScripts.com, and Nativo recommends looking at online TopConsumerReviews.com as well as searching for the company online and through social media to see what other customers are saying. Steve McFarland, the president and CEO of the Better Business Bureau of Los Angeles and Silicon Valley, says that you should also ask your vet how to get less expensive medication that is safe or ask friends for referrals. 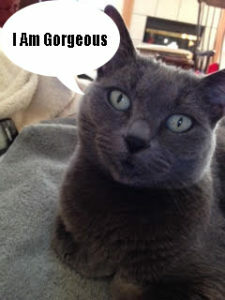 And Nativo says she likes sites like PetCareRx.com , DrsFosterSmith.com and even Costco.com .